Our world is full of many different cultures which have their own unique practices that you have probably never even heard of before. There are many bizarre rituals that have existed since ancient times, and some of them are quite shocking and even dangerous. Even though these rituals are quite harmful, some of them are still performed today. Take a look at some of the most bizarre rituals on the planet. In some places in rural India, there is a 700-year-old ritual in which babies are thrown off 30-foot tall shrines. 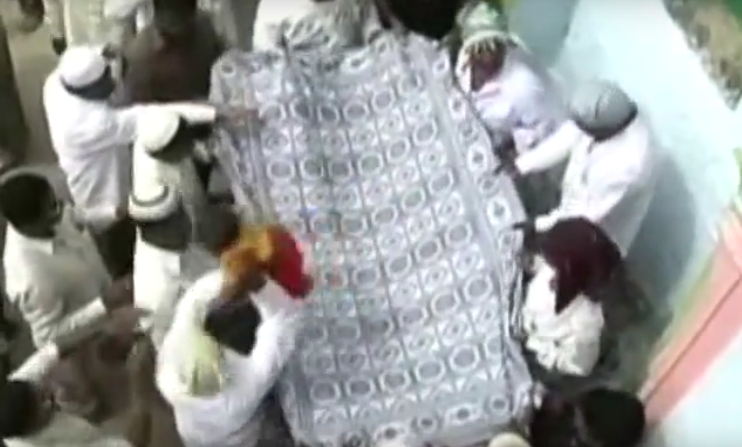 Families throw their newborns believing that the ritual will bring them good luck and the babies get caught in bedsheets. The old ritual started when a saint told the people to have faith and show their belief by dropping their babies, which would then be caught by a hammock that would appear out of nowhere. The ritual is said to keep the baby healthy and give the child a long life. This practice received a lot of criticism in 2009, and it became illegal under India's laws, with no reports of the ritual occurring since 2010. Endocannibalism is a ritual practiced by people of the Fore tribe in Papua New Guinea but has also been documented in Africa and South America. When a family or tribe member passes away, they get eaten by other members of the community during a religious ritual. People practice endocannibalism as a sacred ritual and believe they can absorb the wisdom and souls of their loved ones while eating them. The Fore tribe had strict rules concerning the ritual: children and women were meant to eat the males who passed away, and a woman was meant to eat the brain of her brother. The Torajan people of Indonesia have strict rules concerning their dead, and instead of cremating or burying them, they leave the corpses of their loved ones inside their homes. The bodies are kept in their rooms and left there for many years. The family members of the deceased even bring them food every day and make sure that the bodies have clean clothes and cigarettes. The tradition is hundreds of years old, and Fromulin is used to keep the bodies from decaying. Weddings in Borneo have a quite unique ancient tradition concerning newlyweds in the Tidong tribe. Namely, after the wedding, newlyweds are forbidden from going to the toilet or showering for three whole days in the belief that this custom will make the couple's bond stronger. It is believed that going to the toilet after the wedding could lead to bad luck, infertility or an unhappy marriage. After the wedding, people watch over the newlyweds, making sure they don't use the toilet and give them drinks and food in very small amounts. There are many different ways to handle grief, but in Papa New Guinea, the Dani people are expected to do something quite shocking when a loved one dies. Family members and relatives are meant to cut off a finger to commemorate the loss and to show them respect. The ritual symbolizes the grief and pain that is felt when a loved one dies, and the tribespeople often have a few missing fingers during their lifetime. 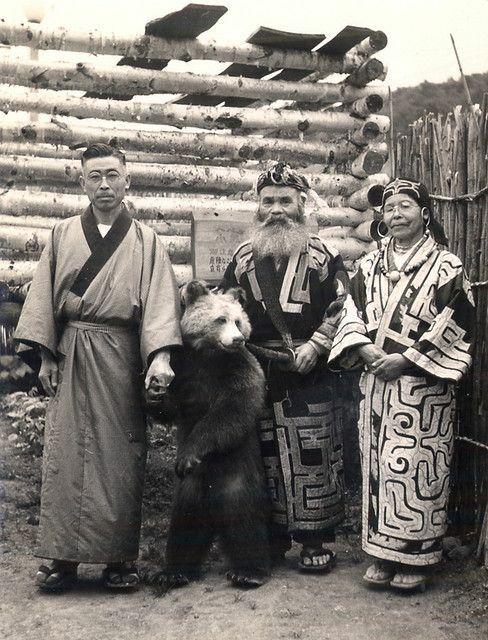 An indigenous people of Japan, the Ainu people, believe that bears are the most powerful gods and have a sacrificing ritual in which they sacrifice them. A mother is found and killed while she is hibernating, and her cubs are eaten by the tribespeople after two years of being raised in the community by women who nursed them. This ancient ritual from Pentecost Island, Vanuatu is performed as a rite of passage, and it symbolizes maturity for young men. 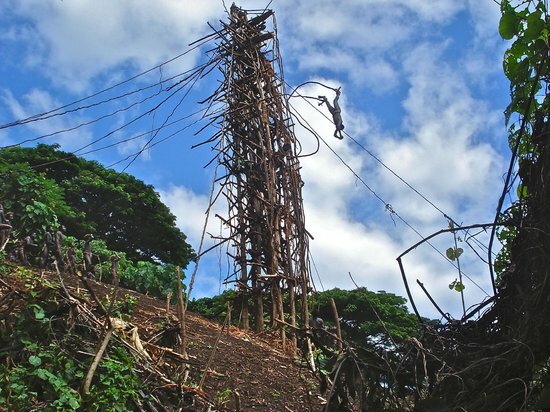 Namely, boys are instructed to build a tall wooden tower, tie a thick vine around their ankles and jump off from nearly 90 feet without any support on the ground. They fall at a speed of 40 miles per hour and are expected to stop just before the ground. The vines that they use for securing their legs are supposed to be neither too long or too short, as this can either cause them to hit the ground or to bounce back and hit the tower. Before the jump, the boys are expected to settle unfinished disputes and sleep in the tower to fend off evil spirits.